"I feel Park Ex is on the cusp of major change and I want to take a cinematic snapshot of this point in time. 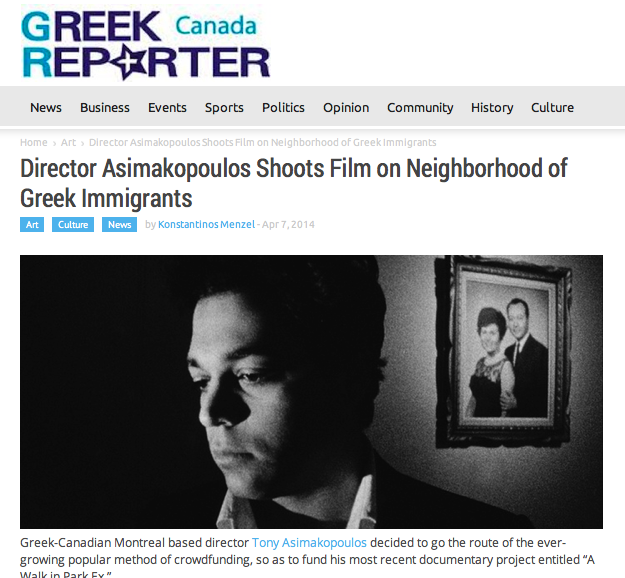 I'm making this film because I know that if I don't, one day, I will wish I had," said Asimakopoulos on his decision to shoot a film for this historic neighborhood, which has become the landing place for many immigrants coming from Greece. . . . "